A small variety selection of the most popular Portuguese wines. Portugal is a small but subtle wine country. 29,00 € / 1 Ltr. 13,27 € / 1 Ltr. 18,21 € / 1 Ltr. 27,80 € / 1 Ltr. 19,67 € / 1 Ltr. 13,13 € / 1 Ltr. 10,60 € / 1 Ltr. Upon to your multiple requests, we'd proudly like to introduce you to our small selection of excellent and top-rated Portuguese wines. With the Romans, the viticulture and the wine production gained importance in Portugal for the first time. In the 13th century, new vineyards were created in the Douro Valley and the Vinho de Lamego. In those wine yards, they've produced the predecessor of port wine. Lamego is a town about 8 km from the south Douro shore. In 1373, the Portuguese signed a trade agreement with the British, which authorized them to fish for the Vinho de Lamego codfish off the British coast. In 1678, the name "Porto" for wines from the Douro valley can be found the very first time in old customs documents. Due to increasing British demand for wine and bad relations with France, English merchants were looking for exportable wine in Spain and Portugal towards the end of the 17th century. However, quality and sanitary conditions were poor, and only the monks were able to produce drinkable and storable wine. In one of the monasteries, English merchants discovered the so-called "Priest Port." The secret of the "Priest Port" was to add neutral alcohol to the wine during fermentation, which had stopped the fermentation completely. The non-fermented residual sugar of the grapes gave this special port its sweet character. The Vinho do Porto wine produced in the Douro Valley has got the name from the city of Porto. It is simply wine from Porto, and it is exclusively cultivated and pressed in the Douro Valley area, located east of Porto. The Douro Valley spreads it mountain ranges from the north of Portugal to the Spanish border in the east over a length of about 100 kilometers to the west. This area is protected from the Atlantic winds, and it consists mainly of slate. Tawny port wines are currently the most widely traded ports. The Portuguese say to the color characteristic of Tawnys "onion peel paint." Tawnys are the most versatile port wines; there is a Tawny for every occasion. Pure drunk Port wine is a special experience. Fans of on-the-rocks drinks and gourmets would probably say: "Port refines the kitchen." It is recommended by them, to rotate the glass so that the aromas can easily unfold. The taste of the port is best when you let it "dance" in your mouth for a while. Then it unfolds fire on the palate and sweetness on the tongue. The Quinta do Outeiro winery is located southwest of Silves, the historic provincial capital of the Ottoman Empire, with excellent wine references and a lot of tradition. 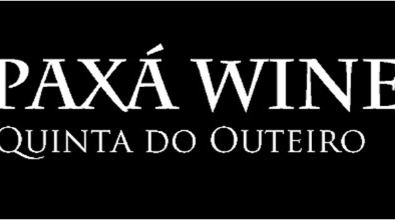 Founded by Joaquim Lopes, agricultural engineer for more than 30 years, Paxa produces excellent Algarve wines. The name P A X A combines the old tradition with modern production methods. The ruler of the Ottoman Empire had the title Pasha or his "excellence." The near sea, sunlight, the associated microclimate and the dominance of the clayey soils give the wine its distinctive character. A deliciousness of real modern pashas! This wine gained good recognition from critics and the public. It has won awards in several national and international wine competitions. That makes these wines more and more popular among connoisseurs and discerning wine lovers. With an acreage of only 248 000 Hectares, Portugal has a small area under cultivation in comparison to other countries. But the produced variety and quality is surprisingly good and multifarious. The Mediterranean location with its many sunshine hours, the winds of the Atlantic, the diverse and manifold soil types create a special microclimate for quality wines. There it is possible to grow many different wine varieties with wonderful diverging flavors. The care of regional, traditional products is strongly promoted to make Portuguese wines distinctive. At the traditional wine-growing areas, there is no industry. The growing areas have been kept as pure as mother nature would recommend it. The people here are very connected with nature and their products. Perhaps this wonderful deep red tint of the red wines comes from the "lifeblood" of its producers. The "love" for the products, can be more than just guessed, it can be tasted, with every drop of wine you enjoy. PS: About half of all wines worldwide use the Portuguese natural cork as a bottle cap. Natural goods require end-to-end quality control. Therefore each batch is checked for its purity in the laboratory. Only available items will be displayed. For orders here in the shop you will receive a bonus point worth 0.50 € in your customer account for every 50 € net value. Each shipping box can carry up to 23 Kg of volume weight. The volume weight of each item is declared at each item's description and in the shopping cart).